Our coastal resources and surfing areas face a number of threats that unfortunately are increasing every day. Save The Waves works with local communities to identify these threats, and utilizes innovative programs to develop solutions and ultimately take action through strategic campaigns and projects. Harbors, jetties, seawalls, coastal armoring, breakwaters and beach-front construction can destroy or alter both waves and coastal ecosystems. Many of these developments are made by by decision makers without clear ideas of what is being lost ecologically, recreationally and economically. 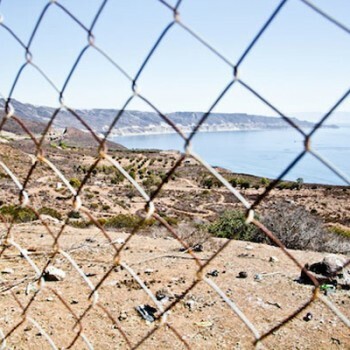 Numerous famous waves have been lost over the years to these types of developments like Killer Dana, Petacalco, La Barre, Bastion Pt…unfortunately the list keeps growing. Through our Endangered Waves and Surfonomics programs we tackle these issues head on, and through our designated World Surfing Reserves, we proactively protect special places before they become threatened. 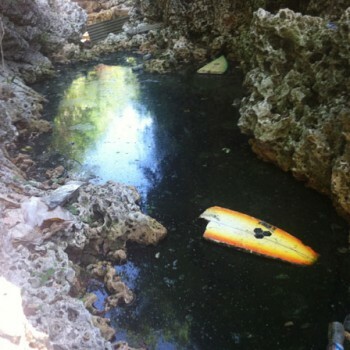 non-point sources of water pollution–have negative effects on the health of surfers and nearshore marine life around the world. From effluent from pulp mills in Chile to non-point source bacteria in California, protecting water quality in the surf zone is of paramount importance to Save The Waves. Our campaigns to #CleanCowells and #SaveSanMiguel represent our efforts to protect water quality and watersheds. While coastal erosion is perfectly natural, development along the coast has made it worse, and climate change induced sea-level rise has made it much worse. When sand dunes are bulldozed to make way for condos, or when the grasses that keep them intact are destroyed, waves that would normally break harmlessly can wash further inland, sweeping away sand at a greater rate. 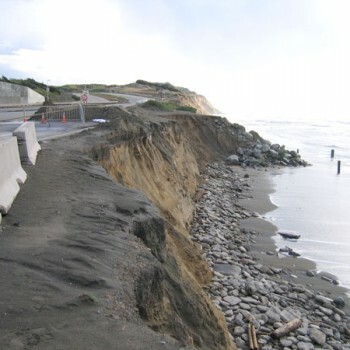 Sea walls and coastal armoring can protect inland areas, but their impermeable structure exacerbates the waves’ scouring effect, increasing the rate of beach erosion. Our Surfonomics studies help communities determine the true value of their coastal areas and what stands to be lost. economy, and the health and safety of surfers. Discarded fishing nets, plastic bags, and other debris can sink to the ocean floor and break and smother coral reefs, or entangle surfers or other marine mammals in the line-up. Plastic bottles, caps, toys, and bags all wash out to sea and break down creating toxic conditions for marine life. Syringes washing up on the beach can be stepped on by surfers or other beach goers. Save The Waves takes direct action through campaigns like #UnidosPorAguasLimpias and #BuenosAiresAguasLimpias to reduce sources of marine trash and educate coastal dwellers. As corals are destroyed through harmful run-off, destructive fishing practices, and ocean acidification, both critical ecosystems and the structures that create the waves that we love are lost. 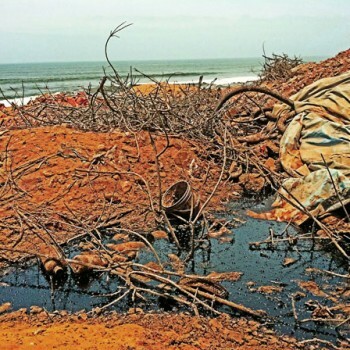 Nutrient runoff, discharged sewage, and industrial pollutants, and surface run off containing traces of agricultural fertilizer, animal waste and sediments from deforested areas alter the ocean chemistry corals need to survive. Dynamite fishing and anchor damage, can break or destroy corals. By creating World Surfing Reserves, and studying the economics of a break we can help government’s make the right decisions about protecting coral reefs and the waves that break on them. Development and privatization of the coast cuts off local access and enjoyment to some of the most beautiful places in the world. Everyone should be able to enjoy their coastlines and waves. 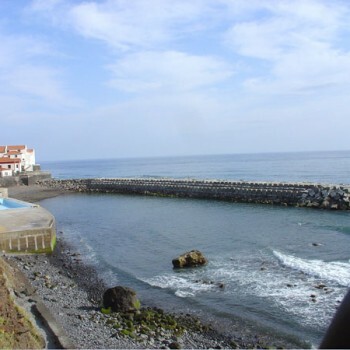 In many places around the world, as the coast is developed it is often sold off to private owners who can restrict public access to the beaches and waves. By creating World Surfing Reserves and studying the economics of a break, we can help government’s make the right decisions about protecting access to our oceans.